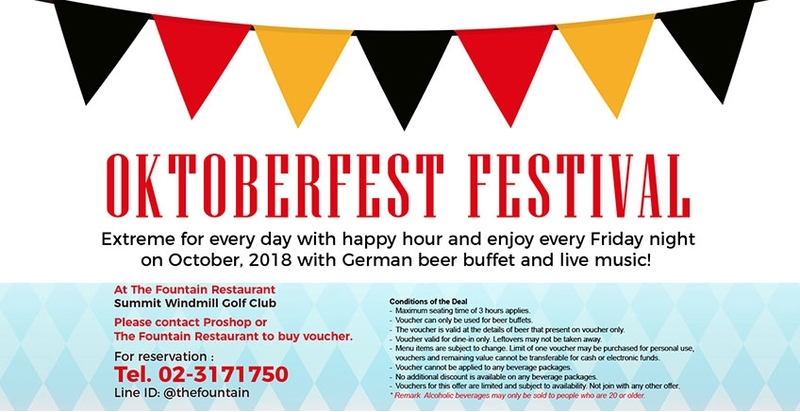 Extreme for every day with happy hour and enjoy every Friday night on October, 2018 with German beer buffet and live music! Starts from 6 p.m. - 9 p.m.
3 Hours free flow Paulaner & Stella Artois Beer. - Maximum seating time of 3 hours applies. - Voucher can only be used for beer buffets. - The voucher is valid at the details of beer that present on voucher only. - Voucher valid for dine-in only. Leftovers may not be taken away.